In addition to providing advisory along with custom consultancy services, StorageIO publishes Industry Trends Perspectives reports, white papers along with solution briefs. These resources are in addition to regular blog postings, twitter tweets @storageio, articles, tips, and FAQs (See below). View additional content including videos, pod casts and webinars here along with in person speaking or keynote events here. See global press mentions, industry trends perspectives, commentary interviews in the news page. Also look inside inside and buy Greg's books The Green and Virtual Data Center at Amazon.com or inside of Resilient Storage Networks and Cloud and Virtual Data Storage Networking. Click to view our companion site www.picturesoverstillwater.com containing various drone videos and photos. Order via Amazon.com and CRC Press among other Global Venues. In this Server StorageIO podcast episode New York Times CTO / CIO Nick Rockwell (@nicksrockwell) joins me for a conversation discussing Digital, Business and IT transformation, Serverless Life Beyond DevOps and related topics. In our conversation we discuss challenges with metrics, understanding value vs. cost particular for software, Nicks perspective as both a CIO and CTO of the New York Times, importance of IT being involved and understanding the business vs. just being technology focused. We also discuss the bigger broader opportunity of serverless (aka microservices, containers) life beyond DevOps and how higher level business logic developers can benefit from the technology instead of just a DevOps for infrastructure focus. Buzzwords, buzzterms and themes include datacenter technologies, nytimes, data infrastructure, management, trends, metrics, digital transformation, devops, tradecraft skills, DevOps, serverless among others. Click here or on microphone image to listen via MP3. In this Server StorageIO podcast episode, I am joined by Tom Becchetti @tbecchetti for a Friday afternoon conversation recorded live at Meisters in Scandia Minnesota (thanks to the Meisters crew!). For those of you who may not know Tom, he has been in the IT, data center, data infrastructure, server and storage (as well as data protection) industry for many years (ok decades) as a customer and vendor in various roles. Not surprising our data infrastructure discussion involves server, software, storage, big data, backup, data protection, big data protection, CMG (Computer Measurement Group @mspcmg), copy data management, cloud, containers, fundamental tradecraft skills among other related topics. In this video we check in on the ice castle on the banks of the St. Croix River in downtown Stillwater MN. This is a late afternoon flight on a clear cold day before sunset. Besides the ice castle, also checkout the historic old stillwater liftbridge as well as new st. croix crossing bridge in the background. Click here or on the image to view the video. A series of seven drone based photos of steeples, spires, and coupla's in and around the downtown Stillwater MN area. These include some with views of the St. Croix river along with old historic liftbridge along with new St. Croix crossing bridge amnong other items. Click here or on the image to view the photos. On a rare warm, sunny, clear December 2nd in Stillwater MN along the banks of the St. Croix river, check out this view of some hot air baloons taken from the drone during an afternoon flight. Recorded December 2017. Click image or here to view video. performance expert and creator of the Silly Little Oracle Benchmark (SLOB) tool. Not surprising our data infrastructure discussion involves server CPU, software, I/O, storage, performance, software, tools, best practices, fundamental tradecraft skills among other items. In this episode, we take the Drone up, out and over the Stillwater MN, St. Croix River front area for some fall December views. From Hot Air Ballons to up close views of ice, to ice castles rising and new docks in a marina. Recorded 11/1/2016. Click on image or here to view video. shown is the same view after the flood high waters. Recorded 7/11/2016. Click on image or here to view video. peaked however colors are starting to get good. Recorded 10/2/2016. Click on image or here to view video. Friday Evening Flight over St. Croix River near Stillwater MN. Recorded 9/30/2016. Click on image or here to view video. looking down on the Arcola High Bridge near Stillwater MN. Recorded 8/7/2016. Click on image or here to view video. afternoon flight over and around MPYH marina in Stillwater MN. Recorded 7/27/2016. Click on image or here to view video. lumber saw mill among other structures still exist. Recorded 10/09/16. Click on image or here to view video. mill which gives the name to Arcola Mills. Recorded 10/09/16. Click on image or here to view video. data across different environments and customer segments. Click on image or here to view video. Chops (sourced from Lens of Stillwater MN). Recorded Winter 2016. Click on image or here to view video. I was invited by VMware vCloud Air to do a free hands-on test drive of their actual production environment. Some of you may already being using VMware vSphere, vRealize and other software defined data center (SDDC) aka Virtual Server Infrastructure (VSI) or Virtual Desktop Infrastructure (VDI) tools among others. Likewise some of you may already be using one of the many cloud compute or Infrastructure as a Service (IaaS) such as Amazon Web Services (AWS) Elastic Cloud Compute (EC2), Google Cloud, Microsoft Azure, Rackspace or Virtustream (being bought by EMC) among many others. Recorded 5/26/15. Click on image or here to view video. Part II of a two part hands on test drive of VMware vCloud. VMware vCloud Air provides a platform similar to those just mentioned among others for your applications and their underlying resource needs (compute, memory, storage, networking) to be fulfilled. In addition, it should not be a surprise that VMware vCloud Air shares many common themes, philosophies and user experiences with the traditional on-premise based VMware solutions you may be familiar with. VMworld show floor for an overview of what docker is about. Recorded 2014. Click on image or here to view video. around the expo area and see who we or what we run into. In this episode, @EMCcode (Part of EMC) developer advocate Kendrick Coleman (@KendrickColeman) joins me for a conversation. Our conversation spans spring-time in Kentucky (where Kendrick lives) which means Bourbon and horse racing as well as his blog (www.kendrickcoleman.com). Kendrick explains the motivation behind S3motion along with trends in and around objects as well as programming among related topic themes and how context matters. I have been using S3motion for moving buckets, containers and objects around including between AWS S3, Google Cloud Storage (GCS) and Microsoft Azure as well as to/from local. Check out the companion blog post for this podcast here. Btw, for those not familiar with who or what @Captainobvious is that is made reference to, click here to learn more. In this video conversation I talk about various server and storage I/O metrics that matter along with context across block, file and object including Performance, Availability, Capacity and others. Whats the best metric? The one that matters to what you are doing. Watch more in this video along with the companion text transcription. Check out the video with me via TechTarget SearchStorage, then weigh in with your comments. In this conversation Rob and me talk about various aspects of data protection modernization including finding and fixing problems at the source, accidental architectures, using new (and old) things in new ways, rethinking data proteciton. However the conversation is a discussion about the topics, issues, trends, what can be done as opposed to a product pitch infomercial. Check out this video blog (vblog) of Rob and me via TechTarget SearchDataBackup, then weigh in with your comments. In this episode, SNIA Chairman Emeritus Wayne Adams and current Chairman David Dale join me in a conversation from the Data Storage Innovation (DSI) 2014 conference event. DSI is a new event produced by SNIA targeted for IT professionals involved with data storage related topics, themes, technologies and tools spanning hardware, software, cloud, virtual and physical. In this conversation, we talk about the new DSI event, the diversity of new attendees who are attending their first SNIA event, along with other updates. Some of these updates include what is new with the SNIA Cloud Data Management Initiative (CDMI), Non Volatile Memory (think flash and SSD), SMIS, education and more. Listen in to our conversation in this podcast here as we cover cloud, convergence, software defined and more pertaining to data storage. In this episode from the SNIA DSI 2014 event I am joined by Cashton Coleman (@Cash_Coleman). Cashton (Cash) is a Software architect, product mason, family bonder, life builder, idea founder along with Founder & CEO of SuccessBricks, Inc., makers of ClearDB. ClearDB is a provider of MySQL database software tools for cloud and physical environments. We talk about ClearDB, what they do and whom they do it with including deployments in clouds as well as onsite. For example if you are using some of the Microsoft Azure cloud services using MySQL, you may already be using this technology. However, there is more to the story and discussion including how Cash got his name, how to speed up databases for little and big data among other topics. Check out ClearDB and listen in to the conversation with Cash podcast here. In this episode from the Computex Rethink your Datacenter for 2017 advance planning and strategy event I am joined by Matt Vogt (@MattVogt). Matt is a Principal Architect with Computex Technology Solutions as well as being a certified VMware specialist and fellow vExpert. We talk about the role of automation for performance and capacity optimization along with how VMware vCop plays an important role. Listen in to learn more about how to gain insight and situational awarness to make informed decisions for your data infrastructure environment with Matt. Check out Matts blog here at blog.mattvogt.net and listen in to the podcast here. This Myce.com produced podcast (their first one btw) that I was asked to be their first guest we discuss the latest developments in and around the solid-state device (SSD) and related storage industry, from consumer to enterprise, hardware and software, along with hands on experience insight on products, trends, technologies, technique themes. In this first podcast, we discuss Solid State Hybrid Disks (SSHDs), the state of NAND memory, the market and SSD pricing. I had a lot of fun doing this first episode with Jeremy and hope to be invited back to do some more, follow-up on themes we discussed along with new ones in future episodes. One question remains after the podcast, will I convince Jeremy to get a Twitter account? Stay tuned! Also check out this related blog post that I did around this pod cast you can find here along with other related SSD topics, themes, technologies and tool discussions at StorageIOblog.com. 5/20/13 - Video: And Now, Software-Defined Storage! Software-defined Storage (SDS) is the latest (but probably not the last) acronym added to the vocabulary (and hype) of the IT industry�s new love affair with the concept of software-defined everything. But what does the term "software-defined" actually mean? In the modern datacenter, software still�needs�hardware. But software also�enables�hardware to be more effective, agile, and productive. Check out this video blog (vblog) of me at 21st Century IT (21cit), then weigh in with your comments. 5/9/13 - Video: Using common tools, different policies for backup and archiving. This TechTarget produced video recorded live while at EMCworld 2013 looks at how common tools and technology can be used to address backup and archiving needs. Granted, and an important idea is to have separate policies, retention, RTOs and RPOs along with focus on removing costs vs. simply cutting costs. Also check out how not everything is the same in the data center or information factory along with modernizing data protection here. There is a myth or some FUD that RAID can shorten the life or durability of nand flash SSD. The reality is that depending on how configured, RAID level, implementation and other factors, nand flash SSD can actually be extended. Watch this TechTarget produced video recorded live while at EMCworld 2013 to learn more. This TechTarget produced video recorded live while at EMCworld 2013 talks about what ViPR is, who it is for, how it works and more. Read more about ViPR here in a three part blog post series, and visit www.objectstoragecenter.com for additional related information, themes and topics. Recently I was invited to be one of the guest on a special anniversary episode of the Speaking in Tech pod cast. While normally an audio pod cast, this special episode is also a video (via Google hangout). Check out the fun and insight on a different industry trends from Dell going private to EMC, VMware and Pivotal to others. Click here to watch the video or listen to the pod cast. In this episode from SNW Spring 2013 in Orlando, I am joined by my co-host Bruce Rave aka Bruce Ravid of Ravid and Associates as we catch up with long time storage industry educator Dave Demming of Solution Technology. Our conversation covers learning and education, from instructor lead to self paced, now and the future. We also discuss learning, time management, industry trends, music to learn with and more. Ok, nuff said. Click here to listen to the pod cast ( with Dave Demming ), or click here to read more. In this episode from SNW Fall 2012 in Santa Clara, I am joined by my co-host Bruce Rave aka Bruce Ravid of Ravid and Associates as we catch up with long time storage industry veteran Claus Mikkelsen of HDS. Bruce and Claus meet for the first time having been around and probably passed each other in the halls at various events, hence, its a small world, however theres always opportunity to meet somebody new. We also chat about SNW past and present, data storage, technologies, networking with people, travel and of course with Claus, touch on wine. Note that Claus and me were apart of a consortium of people that collaborated and created the original book The Resilient Enterprise released in spring of 2012 published by Veritas. Ok, nuff said. Click here to listen to the pod cast ( with Claus Mikkelsen ), or click here to read more. In this episode from NAB 2013 in Las Vegas (more on that in a future post), I meet up with the Padcaster (@ThePadcaster) creator Josh Apter (@PJmakemovies). The Padcaster (both the name of the company and product) is a mounting bracket for iPads (among other things) that enables you to safely attach lights, lenses, microphones, tripods among other things to create a production studio. Click here to listen to the pod cast ( with Josh Apter ), or click here to read more. In this episode from SNW Spring 2013 in Orlando Florida, while Greg is in the process of boarding a flight home, Bruce Ravid (@BruceRave) catches up and talks with long time storage industry insider (and outsider) Marc Farley. Marc flew into SNW for a few days (or hours) to catch up with customers, partners, peers and others. For those who may not know, Marc is currently with Microsoft (they bought StorSimple last fall, check out this conversation over at Speaking in Tech where Marc and me were guests) and before that HP (they bought 3PAR) and before that Dell (they bought EqualLogic) among others. Bruce and Marc talk about basketball, storage, industry trends among other things. Click here to listen to the pod cast ( with Bruce and Marc Farley ), or click here to read more. In this episode from SNW Spring 2013 in Orlando Florida, while Greg is in the processing of boarding a flight home, Bruce Ravid (@BruceRave) catches up and talks with long time storage industry insider Tony DiCenzo of SNIA and Oracle. Their conversation covers industry trends, observations of SNW past and present along with other related topics. Click here to listen to the pod cast ( with Bruce and Tony), or click here to read more. In this episode from SNW Spring 2013 in Orlando Florida, Bruce Ravid (@BruceRave) and me visit with our guests SNIA Chairman Wayne Adams (@wma01606) and from SNIA Education SW Worth. Wayne was one of our first podcast guests in the episode titled Waynes World, SNIA and SNW that you can listen to here. Our conversation centers around the new SNIA SPDEcon conference that will occur June 10th in Santa Clara California. The tag line of the event is for experts by experts and those who want to become experts. Listen to our conversation and check out the snia.org and snia.org/spdecon websites to signup and take part in this new event. Click here to listen to the pod cast ( with Wayne Adams and SW Worth ), or click here to read more. In this episode from SNW Spring 2013 in Orlando Florida, Bruce Ravid (@BruceRave) and me visit with our guest SNIA Chairman Wayne Adams (@wma01606). Wayne was one of our first pod cast guests back in 2013 in the episode titled Waynes World, SNIA and SNW that you can listen to here. Wayne gives us an update on whats new with SNIA including education, tutorials, videos and other training material, along with standards such as SMIS among other items. Also check out the companion pod cast where Wayne is joined by SW Worth of SNIA education to discuss their new SNIA SPDEcon conference that will occur June 10th in Santa Clara California. Listen to the SPDEcon overview pod cast discussion here. Click here to listen to the pod cast ( with Wayne Adams ), or click here to read more. In this episode from SNW Spring 2013 in Orlando Florida, Bruce Ravid (@BruceRave) and me visit with Justin Stottlemyer (@JHStott) who is a Fellow and Storage Architect at Shutterfly. Our conversation centers on how Justin and Shutterfly maximize their return on innovation (the new ROI) by using object storage along with other technology and techniques to create a resilient, scalable flexible data infrastructure. Justin was at SNW presenting on overcoming object integration at Shutterfly where their data infrastructure consists of 80PB of storage to house over 30PB of user content data that continues to grow. Click here to listen to the pod cast ( with Justin ), or click here to read more. In this episode, we go virtual, both with the topic (virtualization) and communicating around the world via Skype. My guest is Alastair Cooke (@DemitasseNZ) who joins me from New Zealand to talk about VMware education, training and social networking. Some of the topics that we cover include vForums, vBrownbags, VMware VCDX certification, VDI, Autolab, Professional vBrownbag tech talks, coffee and more. If you are into server virtualization or virtual desktop infrastructures (VDI), or need to learn more, Alastair talks about some great resources. Check out Alastairs site www.demitasse.co.nz for more information about the AutoLab, VMware training and education, along with the vBrownbag pod casts that are also available on iTunes as well as the APAC Virtualisation pod casts. Click here to listen to the pod cast (vBrownbags, vForums and VMware vTraining with Alastair Cooke) now, or click here to read more. Cloud-based backup and archiving services come in a variety of configurations and price points, and there are lots of considerations for configuring a contract. How much capacity (and excess capacity) will you need? Can you encrypt only by application type (all archived email, for example), or can you get as granular as a single file (last quarters financials)? How easy is it to control costs as requirements ratchet up (or down)? These are just some of the issues companies should look at as they consider external third-parties for critical backup and storage functions. Hosted by Greg Knieriemen, Ed Saipetch and Sarah Vela. This week, Sarah is playing out so it’s Greg and Ed with special guest Greg Schulz from StorageIO. This episode covers catching up with Eddie, Structure Europe 2012 and disaster at Eds home, StorSimple’s Marc Farley jumps in and comments on Microsoft acquisition, and Farley is now 3 for 3 on big startup acquisition. Greg Schulz provides an update on Storage Networking World (SNW). Also discussion around industry speculation that Amazon Glacier is running on tape (or not), OpenStack chatter continues, Amazon usability zones in Europe, stack fragmentation concerns, new Goggle Chrome book announced, review of Greg Schulz book, “Cloud and Virtual Data Storage Networking” and more. Click here to listen to SiT #31 - Snarfed by Microsoft or click here to read more. In this episode, I talk with SSD nand flash and DRAM chip analyst Jim Handy of Objective Analysis at the LSI AIS (Accelerating Innovation Summit) 2012 in San Jose. Our conversation includes SSD past, present and future, market and industry trends, who are doing what and things to keep an eye and ear, open for (e.g. nand improvements, PCM, mram, etc) along with server, storage and memory convergence. Click here to listen to the pod cast (SSD past, present and future with Jim Handy) now, or click here to read more. In this episode, I am at the Ceph day in Amsterdam Holland event at the Tobacco Theatre hosted by on42.com and inktank.com. My guest for this episode is Curtis (Mr. Backup) Preston (@wcpreston) of Backup School and Backup Central fame where we discuss what is Ceph and object storage, cloud storage, file systems, backup and data protection along with dinner we had at an Indonesian restaurant. Also check out the companion to this podcast where I meet up with Ceph Creator Sage Weil while at Ceph Day. Note that this is a special episode in that while Im recording the pod cast, Curtis is recording a video of our discussion for his truebit.tv site that you can view here. Click here to listen to the pod cast (Mr. Backup (Curtis Preston) goes back to Ceph School) now, or click here to read more. In this episode, I am at the Ceph day in Amsterdam Holland event at the Tobacco Theatre. My guest for this episode is Ceph (Cephalanthera) creator Sage Weil who is also the founder of inktank.com that provides services and support for the open source based Ceph project. For those not familiar with Ceph, it is an open source distributed object scale out software platform that can be used for deploying cloud and managed services, general purpose storage for research, commercial, scientific, high performance computing (HPC) or high productivity computing (commercial) along with backup or data protection and archiving destinations. During our conversation Sage presents an overview of what Ceph is (e.g. Ceph for non Dummies), where and how it can be used, some history of the project and how it fits in with or provides an alternative to other solutions. Sage also talks about the business or commercial considerations for open source based projects, importance of community and having good business mentors and partners as well as staying busy with his young family. If you are a Ceph fan, gain more insight into Sage along with Ceph day sponsors Inktank and 42on. On the other hand, if you new to object storage, open source storage software or cloud storage, listen in to gain perspectives of where technology such as Ceph fits for public, private, hybrid or traditional environments. Click here to listen to the pod cast (Weil on Ceph Storage from Ceph Day in Amsterdam) now, or click here to read more. In this episode, In this episode, Im joined in Frankfurt Germany by Ben Woo (@benwoony) of Neuralytix.com. Our conversation includes cloud; big data and how buzzword bingo technology focused discussions can result in missed business benefits for both vendors and customers. We also reminisce about MTI where we worked together along with protecting home storage. Click here to listen to the pod cast (Ben Woo on Big Data Buzzword Bingo and Business Benefits) now, or click here to read more. In this episode, my co-host Bruce Rave aka Bruce Ravid of Ravid and Associates (twitter @brucerave) and I talk about the recent SNW in Santa Clara and how it compared with past events. Our conversation also covers importance of networking and career tips for both new upcoming, as well as seasoned veterans along with how to standout in a crowd. Bruce also talks about his internet music radio show called Go Deep on moheak.com along with up and coming bands to keep an eye and ear open for in 2013. Check out Bruces sites at ravid.com and godeepmusic.net. Click here to listen to the pod cast (SNW 2012 recap, Networking with Bruce Ravid and career tips), or click here to read more. Click here to listen to the pod cast (SNW 2012 Ray Lucchesi on SNW and Storage) now, or click here to read more. In this episode, while I’m on a plane flying home above the clouds, my co-host Bruce Rave aka Bruce Ravid of Ravid and Associates (twitter @brucerave) meets up with SNIA executive director Leo Leger. Bruce and Leo talk SNW and SNIA past, present and future, along with CompTIA storage plus certification, Red Sox and Cubs baseball and more. Click here to listen to the pod cast (SNW 2012 Learning with Leo Leger) now, or click here to read more. In this episode, while I’m on a plane flying home above the clouds, my co-host Bruce Rave aka Bruce Ravid of Ravid and Associates (twitter @brucerave) meets up with Marty Foltyn (@martyfoltyn) of SNIA Hands On Lab (HOL). Click here to listen to the pod cast (SNW 2012 Meeting up with Marty Foltyn) now, or click here to read more. In this episode, I’m joined by my co-host Bruce Rave aka Bruce Ravid of Ravid and Associates (twitter @brucerave) as we catch up and visit with David Chapa (@davidchapa) Chief Technology Evangelist (CTE) of Quantum Corporation (@quantumcorp) in the Santa Clara Hyatt (event venue) lobby bar area. Our conversations covers SNW, evolution and transformation of Quantum, global travels in and around the clouds, big data myths and realities, monetizing and transforming data into information, using big data to drive diapers and beer sales, people and data living longer as well as getting larger, managing your diet and data footprint, rethinking and modernizing data protection among other topics. Click here to listen to the pod cast (SNW 2012 Chatting with David Chapa) now, or click here to read more. In this episode, I’m joined by my co-host Bruce Rave aka Bruce Ravid of Ravid and Associates (twitter @brucerave) as we catch up and visit with Karl Chen (@karlcstorage) of Starboard Storage Systems in the Santa Clara Hyatt (event venue) lobby bar area. Click here to listen to the pod cast (SNW 2012 Chatting with Karl Chen) now, or click here to read more. In this episode, I’m joined by my co-host Bruce Rave aka Bruce Ravid of Ravid and Associates (twitter @brucerave) as we catch up and visit with SNIA Chairman Wayne Adams (@wma01606) in the Santa Clara Hyatt (event venue) lobby bar area. Click here to listen to the pod cast (SNW 2012 Waynes World) now, or click here to read more. In this episode from the Spring 2012 SNW in Dallas guest Greg Schulz talks with host Calvin Zito (@HPstorageguy) about his presentation at the event titled Cloud and Virtual Data Storage Networking same name as his new book. The discussion cuts through the hype, confusion and FUD commonly found with IT clouds. Video: Interview on the Wikkibon/Silicon Angle The Cube show where I was a guests of hosts Cali Lewis and John McArthur during the 2011 Dell Storage Forum. Greg is interviewed by Cali Lewis and John McArthur in a fun light-hearted conversation about the Dell Storage Forum, Travel and Cloud Technology including not to be scared of clouds and virtualization, however look before you leap, doing your homework to be prepared along with other themes in my new book Cloud and Virtual Data Storage Networking (CRC Press). Click here to view to the video. In this episode, hosted by Greg Knieriemen (@knieriemen) with trusty sidekick Ed Saipetch (@edsai), our guests this week are Mark Twomey (@storagezilla), Greg Schulz from StorageIO (@StorageIO) and special guest, the recently unemployed Marc Farley (@metafarley). Topics discussed include Farley and Knieriemen reunion, Farley joins Storsimple, Amazon cloud storage gateway, Clouds in and for the enterprise, standards and storage for clouds, cloud management, architectures and shared responsibilities. Storage proponents argue that some applications (or departments, or even specific users) handle data that is so critical to the organizations proper functioning that every keystroke needs to be preserved - hence the flourishing of continuous data protection, which captures all new content or any revisions. Others argue that competing technologies can deliver the same functionality for a fraction of the price. This discussion with featured guest Greg Schulz of Server and StorageIO Group sorts out the helpful from the hype. Greg talks with Terry of the SMBauthority during a January 4, 2012 live event including an online chat discussion about Continuous Data Protection (CDP), what it is, when and where to use it along with how it has evolved. In addition Greg and Terry discuss common misperceptions and missed opportunities involving CDP for environments of all size. Listen to the audio here. Click here (.qt) or here (.wmv) to view to the video. Greg is interviewed on the Cube during EMC January 2011 mega product announcement. View from about 15:00 minute to 55:00 minute mark for conversation on various data and storage management topics including SSD, cloud and more. Discussion and conversations from VMworld 2011. Watch this video where Greg discusses data deduplication as a data footprint reduction (DFR) technology. Greg discusses scale out storage including clustered NAS technologies. 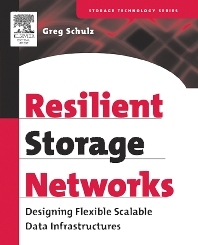 Greg discusses his new book Cloud and Virtual Data Storage Networking (CRC Press, 2011). Pod cast: Nekkid Tech Episode 11: Where are the new enterprise bibles? In this Discussion, Greg Schulz joins Nekkidtech host Greg Knieriemen and Gina Minks (@gminks) talking about industry trends, my new book Cloud and Virtual Data Storage Networking, building blocks of tomorrows IT department, the changing role of IT administrators, process of writing a book, being bilingual from a technology perspective and more. In this Q and A, learn about business benefits of SSD and what you need to know about them to make effective technology decisions. In this Q and A, learn about managing data in a virtualized server environment. Find out what to consider when looking at data management tools for virtual servers and what storage vendors are doing to support virtual server environments. In this pod cast, Infosmack Pod cast Episode 65: The Belle of the Ball, David Scott CEO of 3PAR. Greg Knieriemen of Chi Corporation and Marc Farley of 3Par and StorageRap.com with special co-host Greg Schulz of StorageIO. This weeks special guest is David Scott, CEO of 3PAR. In this weeks special episode with David, we discuss how 3PAR has suddenly found itself in the middle of a bidding war between the biggest companies in enterprise technology today, what his vision is for 3PAR and how he views the technology landscape as well as 10 Big Questions. In this pod cast, Greg Knieriemen of Chi Corporation and Marc Farley of 3Par and StorageRap.com with Greg Schulz of StorageIO and Ed Saipetch of EMC. In this episode, we grill Marc on Dells acquisition of 3PAR, we discuss Intels acquisition of McAfee and Knieriemen rips the media coverage of the Hurd scandal including SiliconAngles bad reporting. This pod cast discusses NAS clustering options along with what to use when, where as well as why. This pod cast discusses SAS storage along with variations of shared external direct attached storage (DAS), dedicated internal DAS and other associated topics. Appearance on Virtumania discussing virtual, physical networking and more. This pod cast discusses what is a storage partition, how they differ and compliment or coexist with LUNs along with when or where to use them. Traditional storage optimization focuses on maximizing space capacity utilization or energy avoidance with MAID, IPM or disk drive power down which are applicable for inactive, idle or low performance demanding applications. However, what about online, primary or performance centric environments or applications where time is money, there is the need for speed and support for activity, getting work done to boost productivity and profitability? This pod cast looks at how to reduce data center and storage system energy or power consumption by boosting performance with more IOPS per watt. Discussion with Greg Schulz about business and technology benefits of clustered storage for scaling performance, capacity and availability across block, file, object and more. Click here to watch the video. Discussion with Greg Schulz, Stu Miniman and Scott Lowe about storage networking convergence including Fibre Channel, FCoE, iSCSI and more. Click here to watch the video. Two part discussion around advanced server virtualizaiton topics including life beyond consolidation, tiered hypervisors, establishing service classes or categories and more. Click here to watch the video (Note: May require registration). Click here to see recent blog post about the iPad. Discussion between Greg Schulz and Mark Lewis of TechTarget the importance of metrics and measurement to gauge productivity and efficiency for Green IT and enabling virtual information factories. Click here to watch the Video. Discussion between Greg Schulz and Jon Flower of Adaptec about data Green IT, energy efficiency, intelligent power management (IPM) also known as MAID 2.0 and other forms of optimization techniques including SSD. Click here to listen to the pod cast sponsored by Adaptec. In this video interview, StorageIOs Greg Schulz warns of the dark side of virtualization for SMBs who go to far, too fast with the technology. Click here to watch the video. July 2009 Video: SMBs Are Now Virtualizations "Sweet Spot"
In a live video interview, Greg Schulz, senior analyst at StorageIO, explains why small and midsize companies are even more invested in virtualization than are large enterprises. Click here to watch the video. Interview discussion about Green IT being alive and well in its role of enabling business sustainability, productivity and optimization, part of life beyond green wash and green hype. 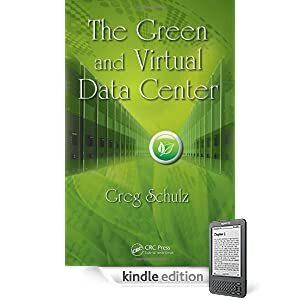 Click here to watch Greg Schulzs answers to other frequently asked questions about Green, efficient and optimized IT infrastructure, dynamic, virtual computing and related topics. Figuring out how to take advantage of cloud computing opportunities can be a daunting task for solutions providers. You must first distinguish between the different types of cloud computing products and then identify an environment that is ripe for implementing cloud computing services. Virtualization expert Greg Schulz discusses these essential points, covers the resources needed to support a cloud computing environment and provides tips for taking advantage of cloud computing opportunities. Click here to listen to Greg Schulzs answers to other frequently asked questions about cloud-based computing applications and services in an FAQ pod cast, or read a transcribed version. Throw out the "green" buzzword and youre still left with the task of saving or maximizing use of space, power, and cooling while stretching available IT dollars to support growth and business sustainability. For some environments the solution may be consolation while others need to maintain quality of service response time, performance and availability necessitating faster, energy efficient technologies to achieve optimization objectives. This video looks at various techniques and strategies to optimize either on-line active or primary as well as near-line or secondary storage environment during tough economic times, as well as to position for future growth, after all, there is no such thing as a data recession! Click here to watch the video. Pod cast: FAQ guide - How Fibre Channel over Ethernet can consolidate networks. Greg Schulz, StorageIO Group - Discusses the Business Benefits of Options and Flexibility in Data Deduplication (Courtesy of EMC). Click here to view the video. In this interview on disaster recovery-related opportunities for storage solution providers, StorageIO Groups Greg Schulz explains the biggest DR problems for customers and how solution providers can help, the difference between hot and cold backups and when each should be recommended, how virtualization has affected the DR market, and where the DR-related MSP opportunities are. Click Click here to view the video discussion of Disaster recovery services for solution providers. With the changing dynamic of todays data centers, many organizations are facing significant challenges when it comes to their architecture. In this video cast, learn about Intels Xeon processor 550 series and how its changing the dynamic of the data center. Gain insight into who needs this technology and why. Discover what environments and applications can benefit from the Xeon processor 550 series. Click here to view the video discussion of The Changing Dynamic of the Data Center. Click here to view Intel alternate site. Click here to view video: Virtualization and Consolidation for Agility: Intels Xeon Processor 5500 series. Click here to listen about how virtualization can be used for both consolidation along with agility along with role of next generation processors with intelligent power management (IPM) such as Intels Xeon Processor 5500 series. Reduce Energy Usage while Increasing Business Productivity in the Data Center. Listen to the wsradio.com interview with Greg Schulz, Author of "The Green and Virtual Data Center" as he discusses themes and topics covered in the book including closing the green gap and shifting towards an IT efficiency and productivity model for business and economic sustainment. Click on following icon to listen in. A brief pod cast audio (MP3) look at why and how reducing your data footprint provides a positive benefit to your business and application service objectives. This is a short MP3 or pod cast version of the popular white paper report in PDF form pertaining to the Business Benefits of Data Footprint Reduction to improve IT resource usage and help enable a green and virtual IT data center effective and data and storage management. Click here to access the MP3 audio. What are the defining characteristics of clustered storage and how does it differ from traditional storage environments? Are there particular applications that benefit more from clustered storage? Is there a difference between grid computing and clusters? November 2006 - Video - (Download may take a few moments) Remote site data protection with replication - Discussion pertaining to issues and challenges with providing timely data protection for remote sites. October 2006 - Pod cast - (Download may take a few moments) Server and storage I/O performance gap: A discussion of issues and challenges with data center and storage consolidation and I/O performance gap challenges - Storage I/O performance bottlenecks and data center challenges, response time, performance, throughput, latency, service level and quality of service. Subscribe to the StorageIO news letter powered by Campaigner by clicking here. Visit our downloads page to view various presentation and related material. Click here to view additional archived news commentary and interviews along with other articles, webinars, presentation and content articles. Click here to view additional archived past events involving Greg Schulz and the Server StorageIO group. Contact StorageIO at [email protected] or +1 651-275-1563 to discuss how we can assist with you with custom presentations, keynote, pod cast or web casts, interviews for your story, article, blog or other project needs requiring industry and technology subject matter expertise (SME) perspectives. Media, press, editors, producers, event coordinators, press release support and commentary, free lance writers, reporters and bloggers send your requests via email and indicate your deadline so that we can accommodate your schedule and timeline. Learn more about our other services here.